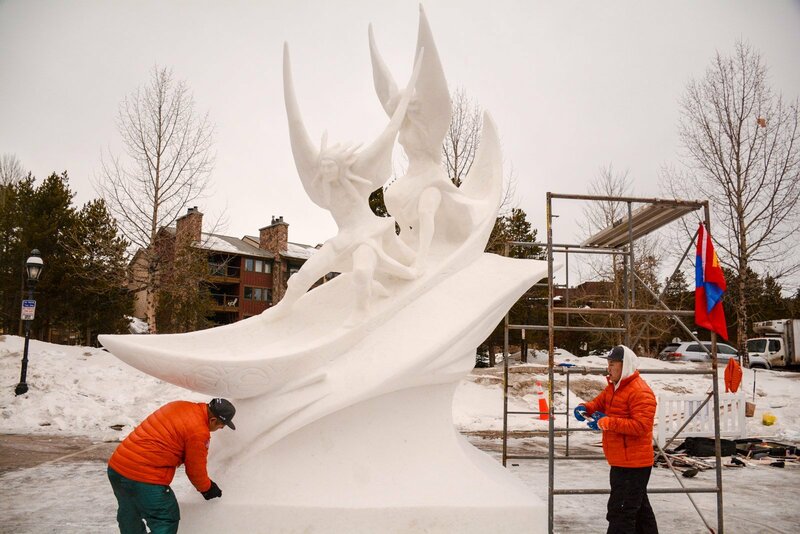 Each year Breckenridge hosts the International Snow Sculpture Championships. The location around town has varied but in this the 26th year, the event was held in the parking lot of the Riverwalk Center - a very central, flat and paved area with plenty of room for the more than a dozen 3-meter x 3-meter x 4-meter blocks of man-made snow that is packed into forms to create the starting blocks for the finished sculptures. Last year's winner is pictured here, during much cloudier judging conditions than this year's event. The 2016 event included teams from several countries and multiple teams from the U.S., Canada and Mexico.